If you are thinking about contact lenses, how do you decide which ones? Contacts fall into four distinct categories: hard, soft, extended wear and disposables. Some lenses have tints to enhance your eye color while others can give you a totally new eye color. Dr. Kontry can help you decide which is best for you and your lifestyle. The two most important questions regarding contact lenses are: Can I wear contacts, and will they hurt my eyes? The answer to the first question depends on your individual eyes and the prescription needed to correct your vision. The second question is a little easier. The cornea is very sensitive to tiny objects such as dust or lint on your eye. It is not, however, as sensitive to large objects covering it. When contacts are properly fitted, they should not feel much different than your own eyelids. 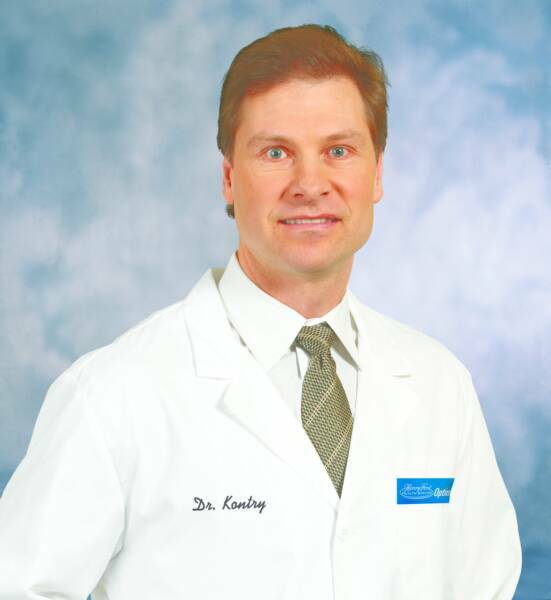 Dr. Kontry is a Contact Lenses Specialist with expertise in bifocal and other hard to fit contacts such as astigmatism.